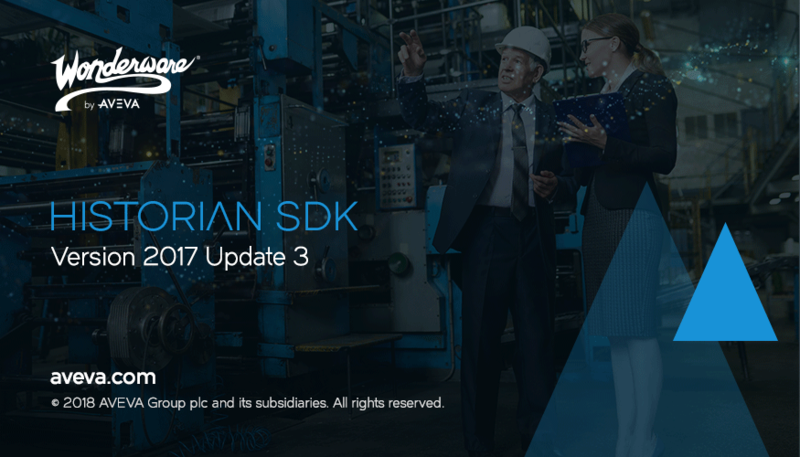 Wonderware Historian Software Development Kit (SDK) 2017 Update 3 provides programmatic access to Wonderware Historian to configure and query tags and server settings, as well as store and retrieve data. Wonderware Historian SDK is based on a .NET version of the Historian Client Access Layer (HCAL) and can be used either from stand-alone .NET applications, or from within ArchestrA scripts. Interact with one or multiple local or remote Wonderware Historian servers. Create tags and start storing data locally while being disconnected from a historian server. Transparently forward the locally collected data to the historian server after it becomes available and continue storing data on it. Perform modifications of already collected data. Retrieve data from regular tags, replicated tags, summary tags, and state summary tags. Query and configure the historian server’s system parameters. Retrieve tag properties and historian server time zone information. Support a redundant historian configuration. Store and retrieve events. An alarm is a type of event.